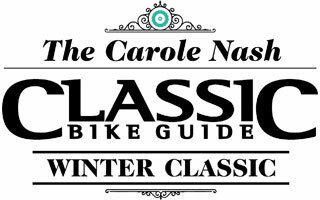 AA kick-start to the new classic motorcycling year, the Carole Nash Classic Bike Guide Winter Classic takes place on January 11-12 at Newark Showground. It offers a welcome respite from the hectic holiday season and a chance to get lost exploring the hundreds of stunning classic machines on display. With a good mix of traders, dealers and autojumble plots, it's the perfect place to grab a box of parts and spares, as well as finding that inspiration needed to finish your restoration for a summer of riding... or perhaps pick up a new project. 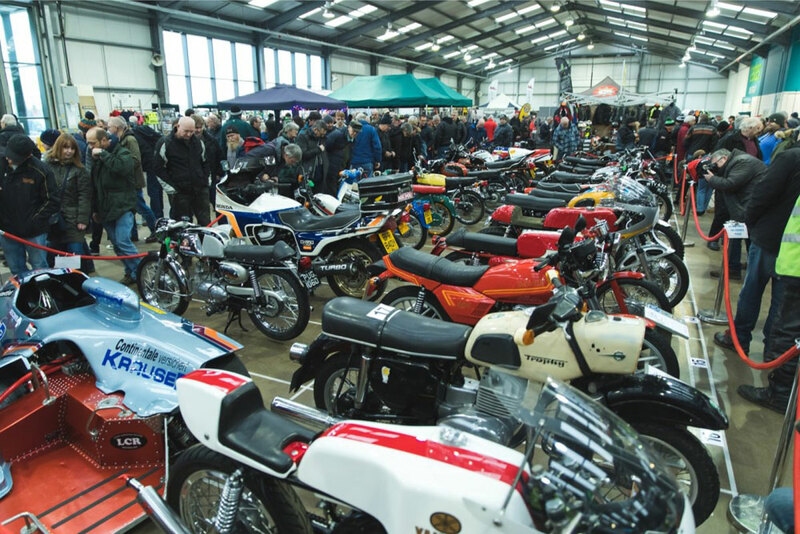 Not to be confused with the monthly 'Normous Newark Autojumbles we also run at the showground, the autojumble at the Carole Nash Classic Bike Guide Winter Classic is drip-fed throughout the site, with stalls inside the main hall, outside and in the additional halls too. 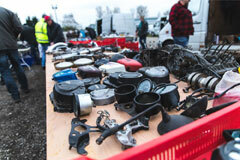 Hundreds of traders pitch up at the show with a vast range of autojumble for visitors to browse through as soon as they walk through the gates. 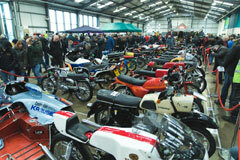 Trade stands at the Carole Nash Classic Bike Guide Winter Classic are both varied and plentiful! Hundreds of traders are in attendance, selling anything from leather jackets to vintage machine manuals. Make sure that you go round all the halls on-site, because you never know what you'll find around the corner! It's the perfect way to spend the rest of the Christmas cash! 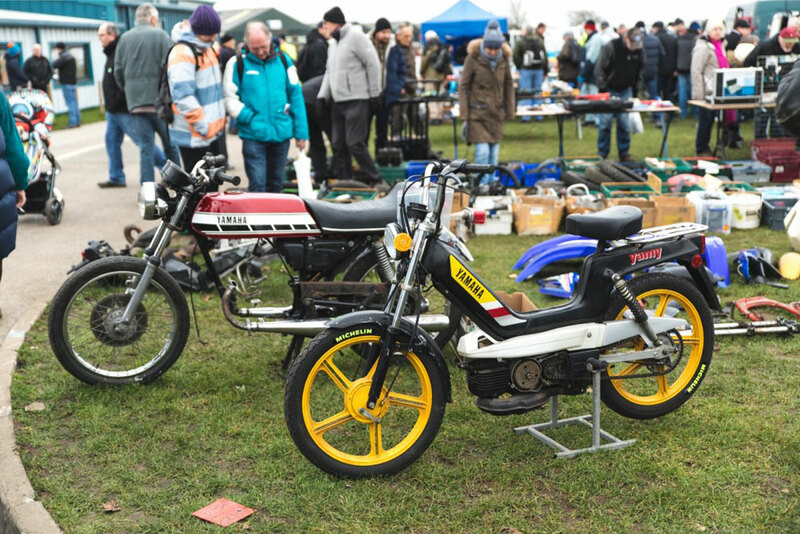 Both classic bike and scooter clubs are regarded as the jewel in the crown at this event. Keeping the heart of the scene beating through their work-hard, play-hard approach, the owners' clubs take pride of place wherever they pitch up! They help make the show what it is with their phenomenal collections of incredible machines, not to mention their love for classic bikes and scooters! Cash prizes are up for grabs for the best three club stands that go out of their way to put on a good display – who will be the top three in 2019? You'll have to stay for the awards ceremony at 4pm on Sunday to find out! Established as the season-opener for both classic bike and scooter enthusiasts, The Carole Nash Classic Bike Guide Winter Classic is THE place to immerse yourself in your favourite hobby! The question is would you like to take part? 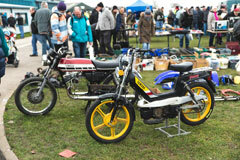 Why not display your pride and joy at the show, be it an utterly original BSA or fully restored Honda? We're looking for the best classic bikes the UK has to offer to go into our private entry display. All private entry display owners receive two free wristbands to get into the show on both days, plus a vehicle pass. All displays are automatically entered into the awards too – so you could end up with a brand-new trophy to take home with you! TBC for 2020 - watch this space! In the past we have had some seriously big names at the show, including Fast Freddie Spencer, John McGuinness, Alex Lowes, Michael Rutter, Jamie Whitham, Roger Marshall, John Reynolds and the Birchall Brothers! With adult tickets costing just £9 in advance, the post-Christmas bank balance won't be too hard-pressed. Tickets on the gate are £11 and under-12s are admitted free. Closing date for advance e-ticket sales for The Carole Nash Classic Bike Guide Winter Classic is 08:30am Monday 6 January 2020. Tickets can be purchased on the gate for £11, under 12s are admitted free. Gates open at 9am both days.